During the past 27 years, under the leadership of Professor Field, Purdue’s Agricultural Safety and Health Program has gained additional national and international recognition. Professor Field has developed both undergraduate classes and graduate programs that have exposed thousands of students to the field of agricultural safety and health. 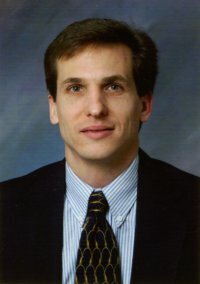 His coordination of graduate level research has resulted in the awarding of 27 graduate degrees in the field and dozens of research reports and published works that have contributed substantially to the literature available to other researchers. Professor Field and other program staff have been sought out on a consulting basis for their expertise in development of injury prevention and rural rehabilitation programs by numerous organizations and companies throughout the U.S. and Canada. Staff has provided technical and educational services for major farm organizations, 4-H, FFA, many of the major agricultural equipment manufacturers, the legal profession, insurance companies, rural hospitals, and numerous agricultural businesses. 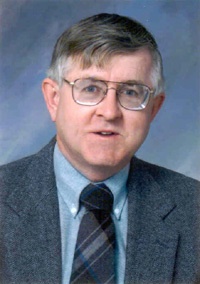 Bill Field is a Professor in Agricultural and Biological Engineering at Purdue University. Bill received his B.S. from the State University College at Buffalo, New York, and his M.A. and Ed.D from the University of Minnesota. 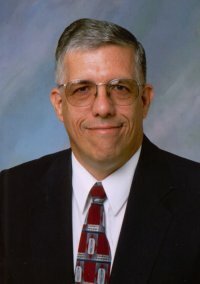 He began as extension safety specialist and assistant professor in Agricultural Engineering at Purdue in 1977. Bill provides leadership for both the department and Purdue University's agricultural health and safety program which includes teaching, research and extension education components. He also supervises the Breaking New Ground Outreach Program which provides assistance to farmers with physical handicaps. Among his many honors, Bill received the first Hoosier Safety Council Award presented in 1987, the USDA Superior Service Award in 1989, the Eric G. Sharvelle Distinguished Extension Specialist Award for services to the people of rural Indiana in 1989. He also received the Distinguished Service Award from the American Agricultural Editor's Association for his contributions to the field of agricultural safety and health education. In 2002, he received the Sagamore of the Wabash from Indiana's Governor for services to rural residents of the state. In 2004 he was the recipient of the M.L. King Spirit of Justice Award for his work with farm families impacted by disability. Roger Tormoehlen is a Professor in the Youth Development and Agricultural Education Department with a courtesy appointment in the Department of Agricultural and Biological Engineering. Dr. Tormoehlen received his B.S. and M.S in Agricultural Education from Purdue University and his Ph.D in Agricultural Health and Safety from Purdue University. Dr. Tormoehlen provides leadership to the engineering-related projects in the Indiana 4-H program. Specific subject matter areas include: aerospace, bicycle, computers, electricity and electronics, lawn and garden tractors and equipment, agricultural tractors and equipment and woodworking. In addition to the engineering areas, Dr. Tormoehlen provides guidance to the 4-H Perfect Fit program, an effort to involve youth with a disability. 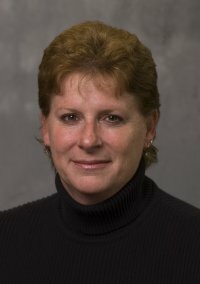 Dr. Tormoehlen&apos;s current research interest is in the use of computer-aided instruction/multimedia programs as an educational tool in non-formal educational settings such as 4-H. Several multimedia programs, including ones on tractor and equipment safety ATV safety, electrical wiring and disaster education have been developed. 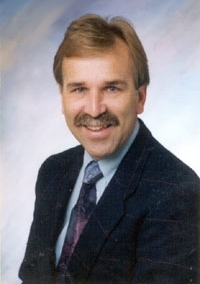 Dr. Tormoehlen received the National Safety Council&apos;s Award of Honor in 1991, the Professional Skills Award from the Agricultural Communicators in Education in 1992, six Blue Ribbon Awards from the American Society of Agricultural Engineers (1983, 1993, 1995,1996, 1997, and 1998), First Place in the National Safety Council's Safety Research Project in 1993, and the National Safety Council&apos;s Distinguished Service to Safety Award in 2002. Paul Jones is manager of the Breaking New Ground Resource Center at Purdue University. His areas of focus include farming with a disability, caregiver issues, and farm safety among Old Order Anabaptist groups, such as the Amish. He has written, edited, or designed more than 20 publications, newsletter editions, and brochures, and he coordinated the development of www.ruralcare.info, a web site designed for rural caregivers. Paul is a member of ADA Indiana-the Indiana ADA Steering Committee, and currently serves as its chair. 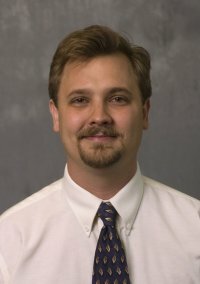 Mr. Swain joined the Breaking New Ground Outreach Program as the Rural Rehabilitation Specialist and Outreach Coordinator in August 2000 and the Purdue University Extension New Ventures Team in January 2004. Mr. Swain has conducted disability, accessibility assessments of farms, homes, and businesses, and assisted potential entrepreneurs for Indiana Vocational Rehabilitation Services. Other accessibility assessments conducted include rural counties of Indiana, rural churches, Purdue University Cooperative Extension offices, county fairgrounds, and rural businesses. Mr. Swain is certified as an Assistive Technology Practitioner by the Rehabilitation Engineering and Assistive Technology Society of North America. Before joining Breaking New Ground, Mr. Swain was employed in production agriculture, livestock feed sales, and commercial manufacturing. If you've ever purchased materials from the Breaking New Ground Resource Center, it's likely that Ed Kirkpatrick filled and shipped your order. He has also served as one of the editors for the Breaking New Ground Newsletter and many other BNG publications. Ed, who has been working with BNG for 11 years, recently celebrated his 80th birthday. 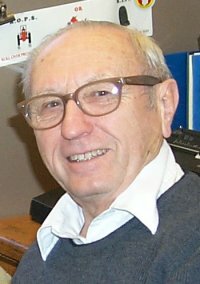 Prior to joining the BNG staff, Ed served Purdue's Agricultural Communications Service as an editor for 19 years. BNG looks forward to Ed's continued, valuable assistance in the future. Denise Heath has served as the information processing systems operator for the Breaking New Ground Resource Center for more than 25 years. She has carried out a number of responsibilities, including the design of brochures, fliers, pamphlets, newsletters and other materials; created complex documents, including technical research articles, proposals, and manuals; and served as the primary word processor and receptionist for Breaking New Gound. Kylie started with AgrAbility in August 2010. 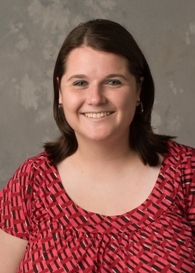 Most recently she worked in the seed business as a sales representative for corn and soybeans. Kylie graduated from Butler University in 2006 with a Bachelor of Science degree in marketing. In addition to marketing, Kylie has a strong farming background and participated in numerous 4-H projects, and she continues to stay involved with her community by serving on the planning committee for her town's annual festival. Kylie is looking forward to working with the AgrAbility staff and clients to help keep people in agriculture, no matter the obstacles. Summarize the perspectives of the USDA-CSREES AgrAbility Project staff relating to dissemination of assistive technology information and related resources. Summarize the perspectives of a sample of farmers with disabilities relating to how they prefer to receive assistive technology information and related resources. Document the relationships between Internet use, age and educational level for farmers (with or without disabilities) and how these relationships impact strategies for assistive technology information dissemination. Develop recommendations for USDA-CSREES AgrAbility Project staff concerning cost effective strategies for dissemination of assistive technology information and related resources to farmers with disabilities. Since the introduction of the AgrAbility, no known research has been conducted to assess various dissemination strategies used by the state and regional AgrAbility Projects from the perspectives of either the farmers with disabilities needing the information or the education/rehabilitation professionals who work with them. Because of this lack of research, unfounded assumptions have been made and conclusions drawn concerning how best to deliver the needed information potentially contributing to the use of ineffective dissemination methods, thereby wasting time and valuable limited resources. This study reviewed various strategies being used for dissemination of information to farmers with (and without) disabilities related to farming, essentials for daily living, and other technical topics, in order to identify methods documented to be most effective. It conducted surveys in order to summarize the perspectives of the USDA-CSREES AgrAbility Project staff and farmers with disabilities, relating to dissemination of assistive technology information and related resources and explored the potential strengths and weaknesses of using the Internet for information dissemination to AgrAbility customers. Significant findings included: farmers most preferred receiving assistive technology information in “printed newsletters” (71%) and “printed publications” (72%); AgrAbility staff most preferred receiving “Internet-based publication access” (61%), “email” (60%), and “printed publications” (58%); many farmers (53%) perceived dissemination strategies were moving toward the Internet, and a large portion (38%) perceived that assistive technology information was generally more available than in the past; both farmers and AgrAbility staff tended to agree that farmers wanted to receive information in printed format; and findings suggested that neither age nor educational level were strong predictors of Internet use by farmers. Recommendations were made to AgrAbility Project staff with regard to what strategies for dissemination of assistive technology information and related resources would be most effective, including: implementing proper management strategies for all information resources; proper planning, creation, and maintenance of web content; and avoiding the use of resources for language translation.